"You can't domesticate a server!" snarls one critic in this corny but clever ad for Windows Home Servers. Adding uncharacteristic, and shyly controversial, color to a mundane office tool, Microsoft -- with (lots of!!!) help from Creature -- repositions the server as a domesticated animal. The idea is that a stay-at-home server better assists remote knowledge workers in a more productive environment -- at home (a truly revolutionary idea, yada yada). The campaign also draws parallels between servers and stay-at-home dads. This side-snicker take on real-life issues reminds us a little of early Vista efforts. See microsite. 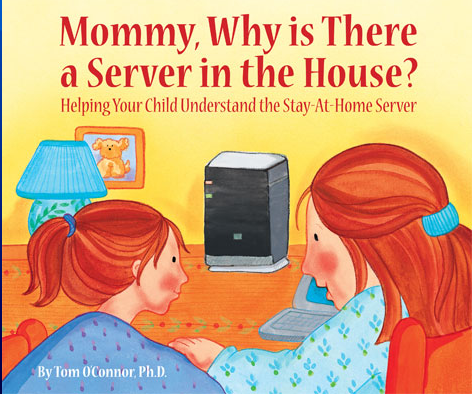 Promotional material also includes a book entitled Mommy, Why is There a Server in the House?, for sale on Amazon.